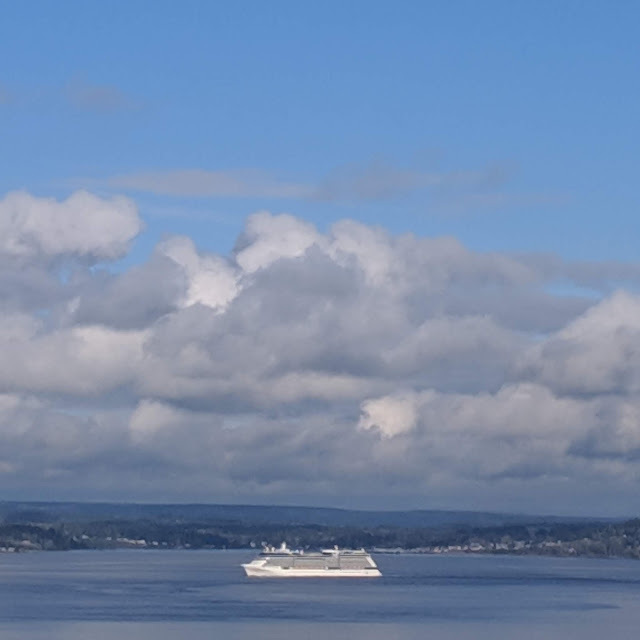 It's the beginning of cruise ship season so expect to see a lot more of these ships going by. This is the Celebrity Eclipse which came in to Elliott Bay for a day before heading out to Alaska. It is 1,040-foot long and 120-foot wide ship and carries 2,852 passengers and crew. Unless the cruises are suspended because the ships are STILL dumping waste illegally!